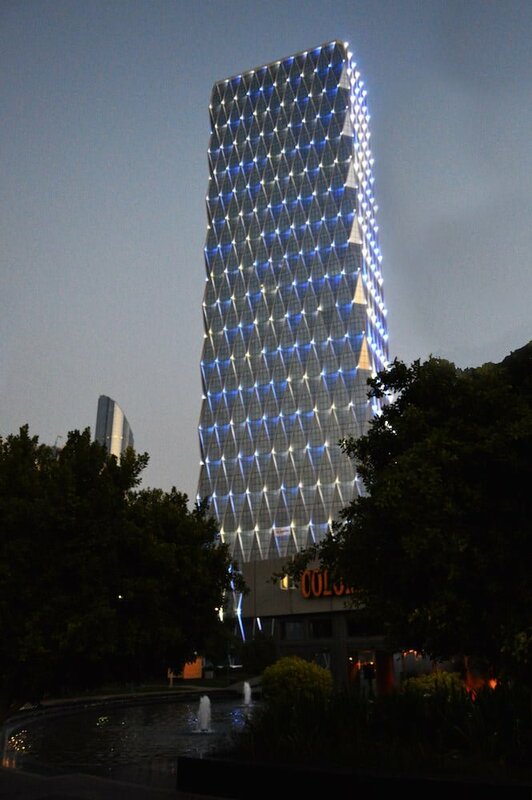 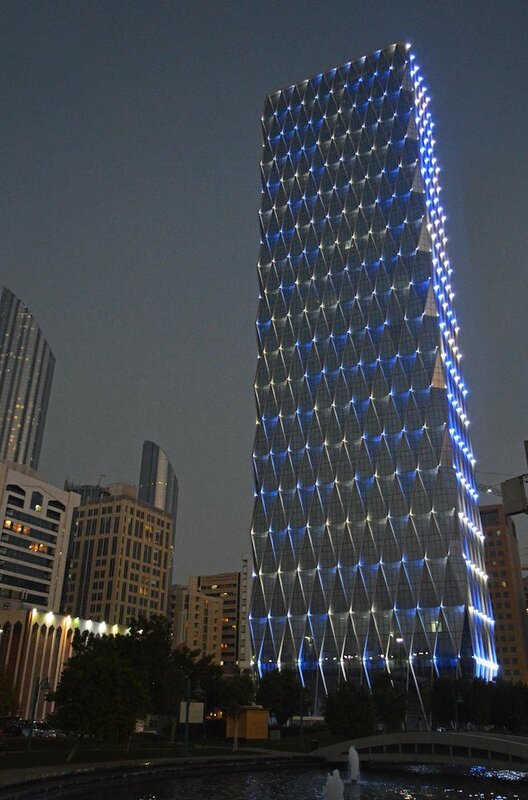 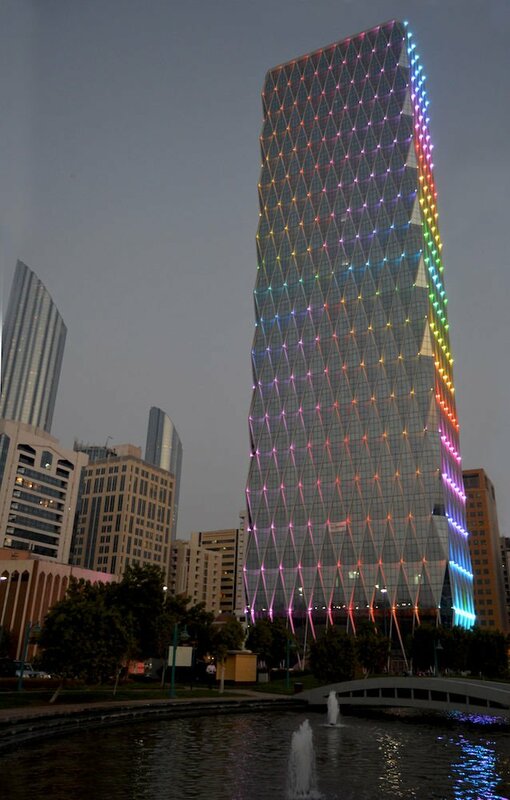 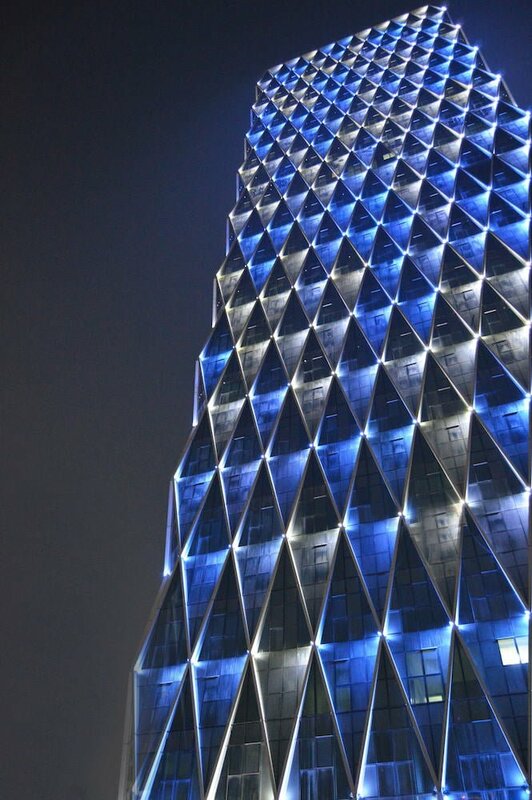 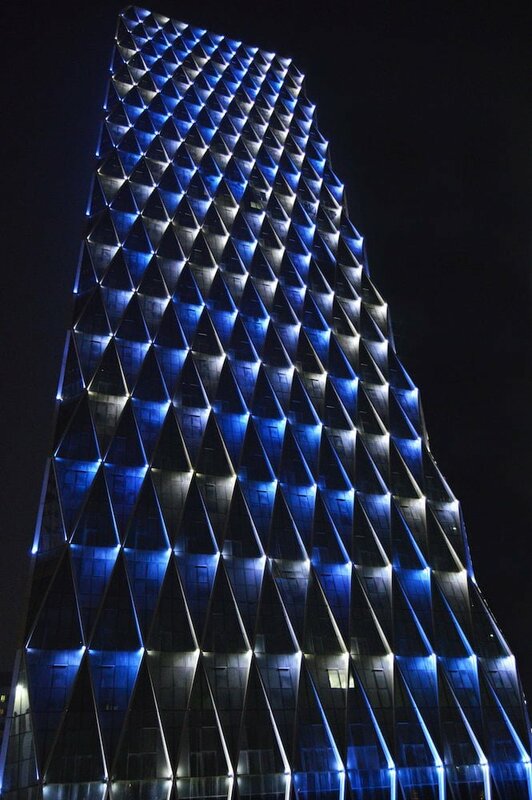 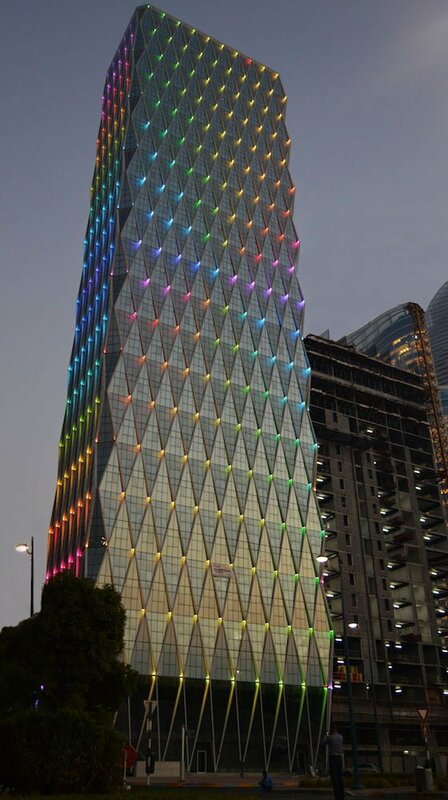 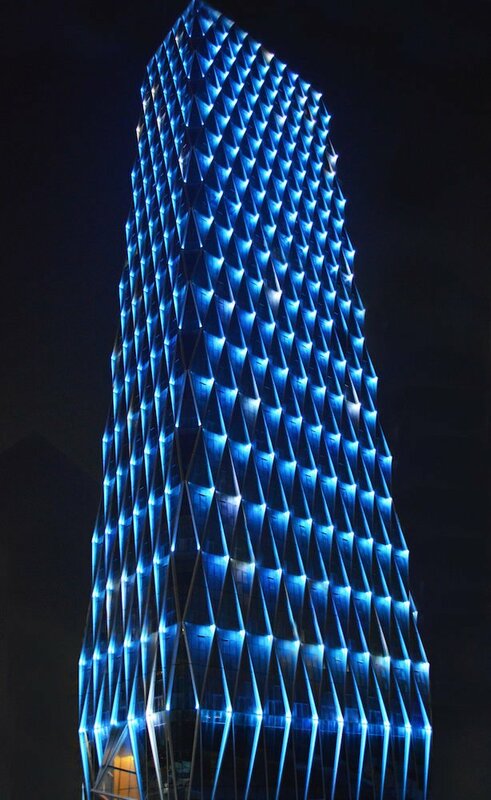 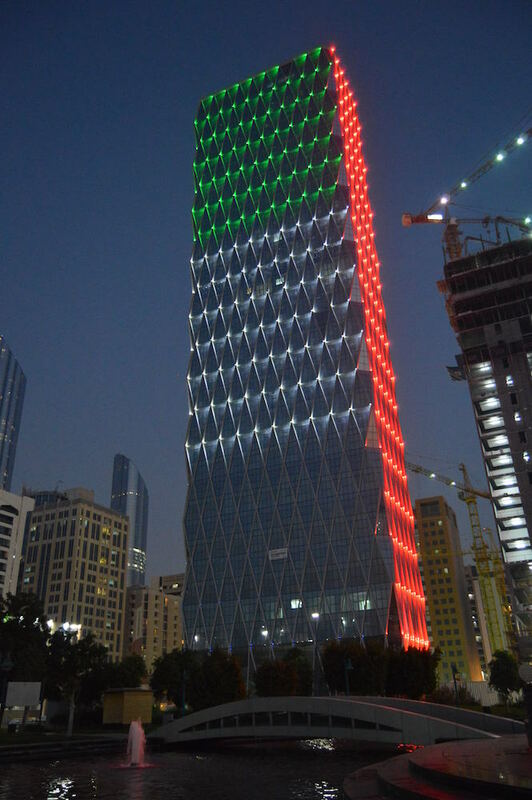 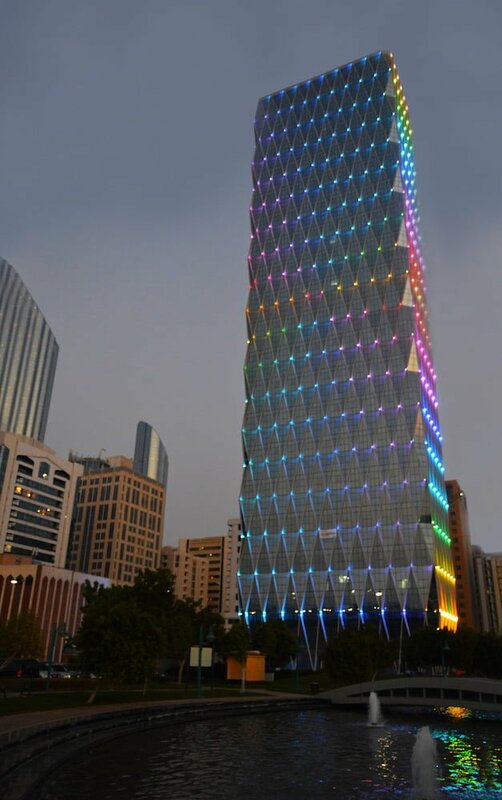 RGBW Facade Lighting solution for the Al Jazeera Tower in Abu Dhabi, UAE. 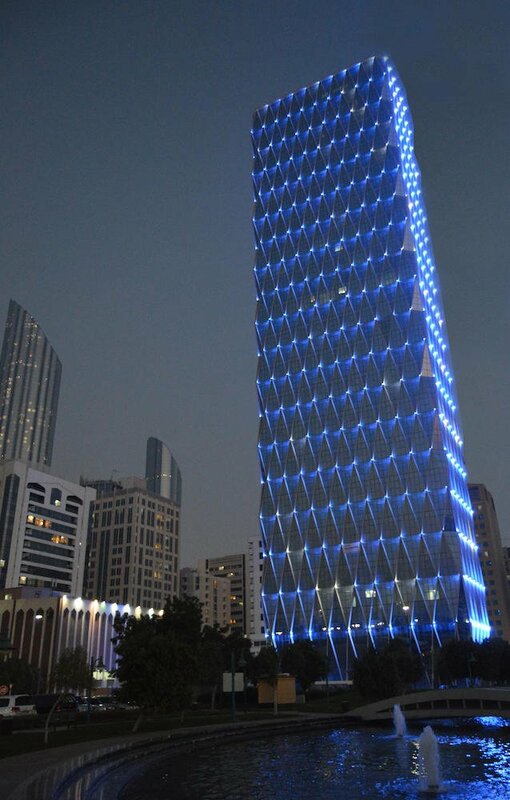 Uses 1200 custom made luminaires to illuminate the diamond lattice facade. 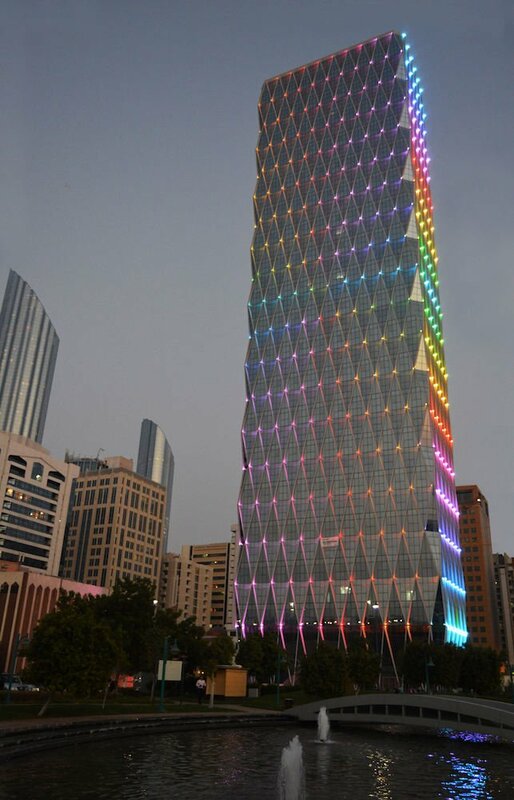 Each diamond is individually DMX controlled to create a dynamic, flexible lighting effect. 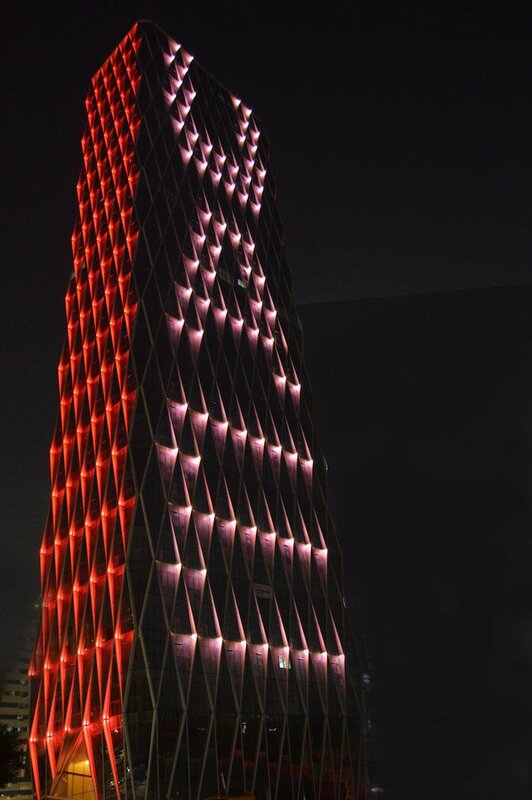 The Al Jazeera Tower is now the brightest building on the Abu Dhabi night sky!